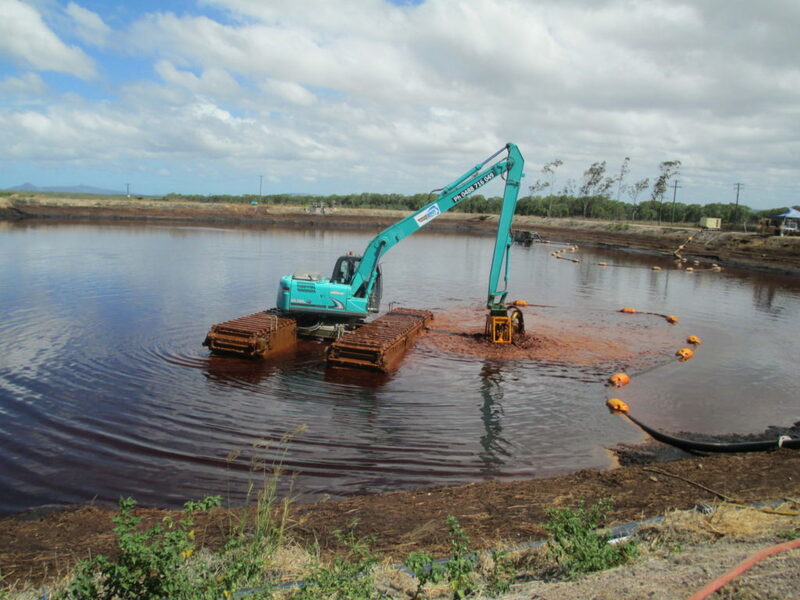 Find an application process to stir up tailings mud and provide material in slurry form so the dam can be de-silted and the product reclaimed. 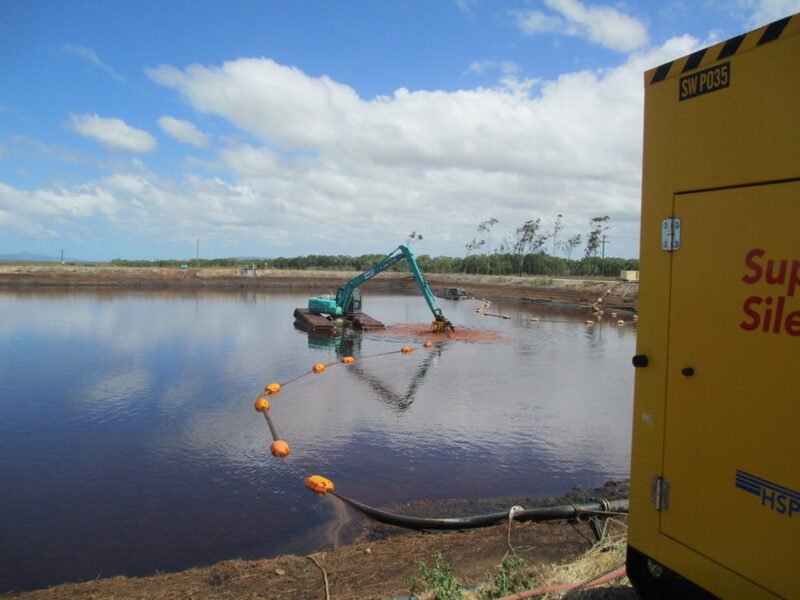 To supply a hydraulic submersible dredge with screw pumps to mix up heavy sludge and pump away. Also to provide 2x rotors on each side of the pump to help condition the sludge to a pumpable liquid by breaking up solids with an injection of water through extra nozzles and supply hydraulic silenced power pack to run the complete dredge system. 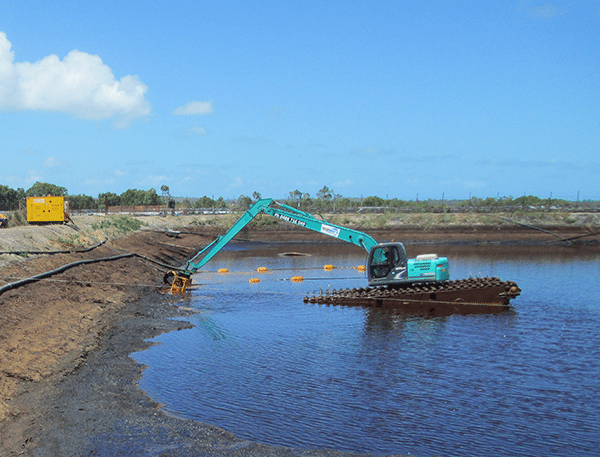 • Cost effective dredging with either use of a hydraulic power pack or excavator hydraulic head power. 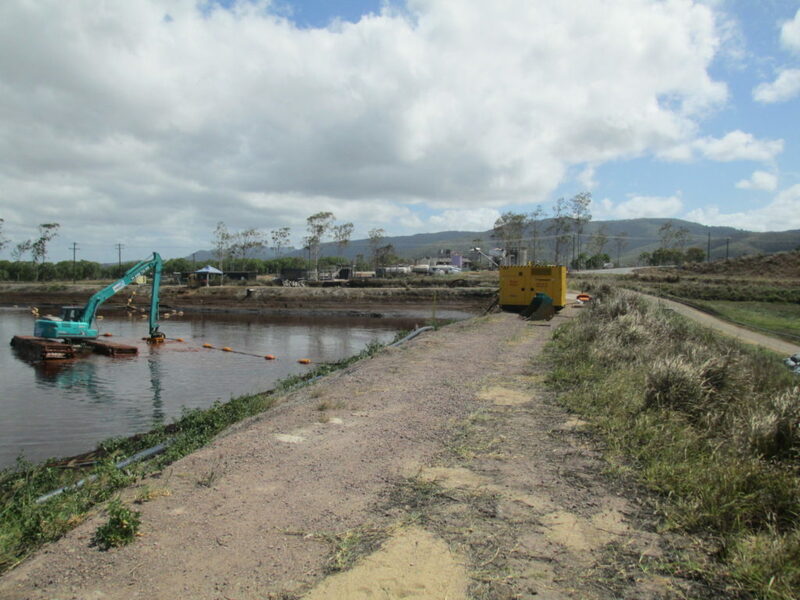 • Placement of dredge where it can be most effective, by quick connection hitch to excavator.